related to your health. New information will be regularly added, so keep checking the bulletin board for updates. CHANGE IN YOUR HEALTH INSURANCE? YOUR ADDRESS? YOUR PHONE NUMBER? Don't forget to notify us of any changes immediately. Older people taking sleeping pills are five times more likely to report problems with concentration and memory, twice as likely to have a hip fracture and twice as likely to have a car accident the next day if they’re driving. They also experience more incontinence. Please discuss tapering off these medications with your physician. Don't just stop cold turkey if you have been on these for some time. Angry enough to have a heart attack? It might actually happen. A new analysis has found that outbursts of anger can significantly increase the risk for irregular heart rhythms, angina, strokes and heart attacks. Researchers combined data from nine studies of anger outbursts among patients who had had heart attacks, strokes and related problems. Most of the studies used a widely accepted anger assessment scale; one depended on a questionnaire administered to patients. They found that in the two hours after an outburst of anger, the relative risk of angina and heart attack increased by nearly five times, while the risk of ischemic stroke and cardiac arrhythmia increased by more than three times. The findings appeared in The European Heart Journal. The researchers stressed that the actual likelihood of having an anger-induced heart attack remains small. Still, for people with other risks for heart disease, any increase in risk is potentially dangerous. 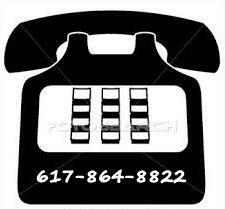 It is never too late to get your FLU SHOT, so please call and set this up. Always remember while you may not be personally incapacitated by the flu, it is whom you come into contact with that may bear the brunt of the illness. So those of you who have or come into contact with young kids or the frail or elderly, think how your decision may affect them. Shoveling Snow Raises the Risk of a Heart Attack! Researchers found that most heart attacks from shoveling snow result from heavy physical exertion causing trauma to coronary arteries, which ruptures plaques that cut off blood flow. 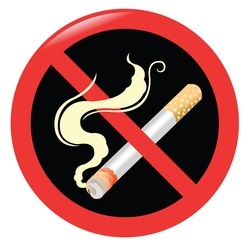 One way to lower the risk, particularly in people who smoke or rarely exercise, is to reduce sudden exertion. Experts recommend shoveling early, when snow is lighter, and taking breaks.Over all, roughly 7 percent of the patients were shoveling snow when symptoms began. About two-thirds of them were men — average age 63 — and they were highly likely to have had a family history of premature cardiovascular disease. The FDA is recommending health care professionals discontinue prescribing and dispensing prescription combination drug products that contain more than 325 milligrams (mg) of acetaminophen per tablet, capsule or other dosage unit. There are no available data to show that taking more than 325 mg of acetaminophen per dosage unit provides additional benefit that outweighs the added risks for liver injury. 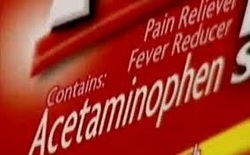 Further, limiting the amount of acetaminophen per dosage unit will reduce the risk of severe liver injury from inadvertent acetaminophen overdose, which can lead to liver failure, liver transplant, and death. A lot of us are drinking too much, and the Centers for Disease Control and Prevention have called us on it. More than eight drinks a week for women and 15 drinks a week for men can get you into trouble, the CDC warned. Public health officials are particularly concerned about people who binge drink, which the CDC defines as more than four drinks at a sitting for a woman, and five drinks for a man. About 1 in 6 Americans binge drink, according to another CDC study. That's 38 million people. In that study, people defined binge drinking as downing nearly eight drinks in a session, four times a month. 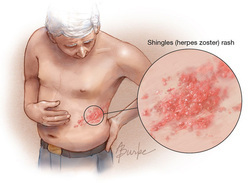 YOU CAN REDUCE YOUR RISK OF DEVELOPING SHINGLES (H.ZOSTER) and its complications. The new Shingrix vaccine is strongly recommended for all people over the age of 50. It is given twice. Initial shot and then second and final shot 2-6 months later. From the financial standpoint it is better to get it while you have commercial insurance rather than Medicare as the coverage depends on your drug benefits.The shot costs about $175 each. 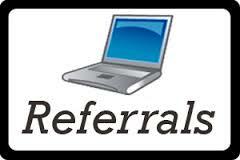 You can now request authorization for REFERRALS to specialists ONLINE using the BMA website. As long as you give us 48 hours notice we can get this done for you. Remember it is almost impossible to get a referral authorized retroactively, so ask us first, before you see a specialist or therapist. WANT TO SAVE TIME? KNOW THE EXTENSION NUMBER. Our new phone system allows you to bypass the operator and call your doctor's secretary directly using their extension number. It is the RULE in this office that covering doctors will NOT fill prescriptions for narcotic pain medications on nights and weekends. 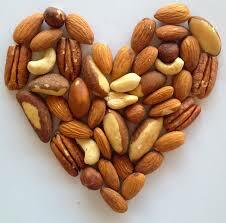 Increased nut consumption has been associated with a reduced risk of major chronic diseases, including cardiovascular disease and type 2 diabetes mellitus. In two large, independent studies the frequency of nut consumption was inversely associated with total and cause-specific mortality, independently of other predictors of death. The bottom line: EAT MORE NUTS! It is strongly recommended that you have a thorough foot examination by a podiatrist at least once a year to prevent the long term foot complications associated with diabetes. Millions of adults take an aspirin every morning to ward off heart disease. A new study suggests that ASPIRIN IS MOST EFFECTIVE IF TAKEN RIGHT BEFORE BED. Taking a daily aspirin helps thin the blood and prevent platelets from clumping, lowering the likelihood of heart attacks and stroke. Cardiovascular events are about three times more likely to occur in the morning, when blood pressure and platelet activity are typically at their highest levels. In the new study, researchers at the Leiden University Medical Center in the Netherlands looked at 290 heart disease patients who were using aspirin to help prevent future heart attacks or strokes. The patients took 100 milligrams of aspirin once a day. In one phase of the study, they took the aspirin first thing in the morning, for three months. In a second phase, they took the aspirin right before bed. Ultimately the researchers found that morning platelet activity was reduced to a much greater degree when the aspirin was taken at night. The timing of the aspirin, however, had no impact on morning blood pressure levels, which was something else the researchers measured. 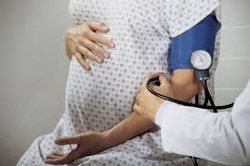 High-risk pregnant women who took a daily low-dose aspirin—50 milligrams to 160 milligrams a day—had a 24 percent lower risk of developing preeclampsia during their pregnancy. Women at increased risk include those who had preeclampsia, placental problems, fetal growth restrictions or fetal death in previous pregnancies; those with Type 1 or Type 2 diabetes, chronic hypertension, kidney disease, or certain autoimmune diseases are also at increased risk. 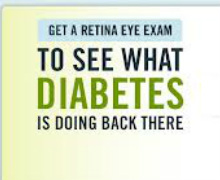 It is strongly recommended that you have a thorough examination by an eye care specialist at least once a year to check for evidence of diabetic eye complications. Your vision is important and the development of blindness can be devastating. Using data from three large health studies, they tracked diet and disease prospectively over a 12-year period in more than 185,000 people, of whom 12,198 developed Type 2 diabetes.After controlling for many health and behavioral factors, researchers found that some fruits — strawberries, oranges, peaches, plums and apricots — had no significant effect on the risk for Type 2 diabetes. 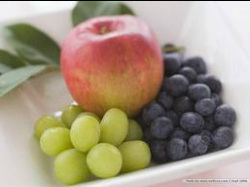 But eating grapes, apples and grapefruit all significantly reduced the risk. The big winner: blueberries. Eating one to three servings a month decreased the risk by about 11 percent, and having five servings a week reduced it by 26 percent. The unusual message was contained in a scientific statement published by the American Heart Association, which convened a panel of experts to review years of data on the cardiovascular benefits of owning a pet. 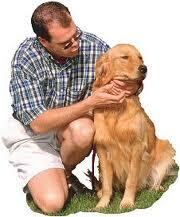 The group concluded that owning a dog, in particular, was “probably associated” with a reduced risk of heart disease. This life saving procedure should be booked when you turn 50. Don't put it off because of embarrassment and fear. 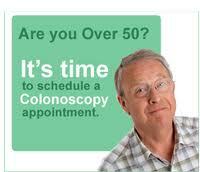 Speak with anyone who is dealing with colon cancer. They will tell you that COLON CANCER IS A PREVENTABLE DISEASE. GET YOUR SKIN CHECKED REGULARLY! A change in a mole? A non healing skin growth? All the more reason to book an appointment with one of our three experienced dermatologists. ORTHOPEDIC SURGERY IN YOUR FUTURE? If you are planning on having orthopedic surgery for a replacement of your shoulder, knee or hip, please schedule an appointment with for a physical therapy assessment BEFORE the surgery, so that they can advise you about pre-operative exercises you can do, what to expect post-operatively and how they can improve your outcome. QUITTING SMOKING: What are the benefits over time? “The message is simple,” the editorial continued. 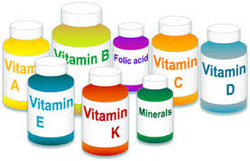 “Most supplements do not prevent chronic disease or death, their use is not justified, and they should be avoided." The problem with screening is that levels of P.S.A. in the blood can be elevated for reasons having nothing to do with prostate cancer. 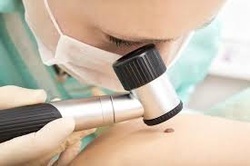 That leads numerous men to have unnecessary biopsies, which can cause pain and infections. And biopsies find many cancers that would be so slow growing they would never harm the man. However, since it is difficult to determine the dangerous from the nonaggressive tumors, most men undergo surgery or radiation treatments and then suffer from side effects such as incontinence and erectile dysfunction. If a screening PSA is requested by men between the ages of 55 and 69, then once the pros and cons are discussed, the testing can be done. 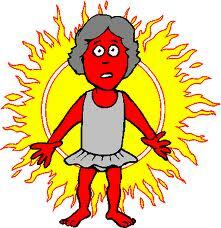 * The best way to treat a sunburn is to prevent one using sunscreen liberally and often. * If you should get a sunburn, then it is best to apply cool compresses or have luke warm baths with oatmeal. 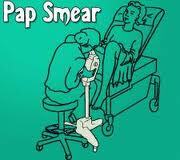 When can I stop having PAP SMEARS? Women over 65 who have had recent regular Paps with normal results and those who have had total hysterectomies and no longer have a cervix, no longer need to have the screening test. 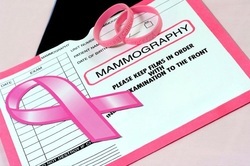 A MAMMOGRAM is an x-ray picture of the breast. Screening mammograms are used to check for breast cancer in women who have no signs or symptoms of the disease. Diagnostic mammograms are used to check for breast cancer after a lump or other sign or symptom of the disease has been found. Screening mammography can help reduce the number of deaths from breast cancer among women ages 40 to 70. NCI recommends that women age 40 or older have screening mammograms every 1 to 2 years. Q. What can elderly people do to PREVENT FALLS? A. One is to improve the strength of the legs and sense of balance. Exercises that specifically strengthen muscles and sensory systems can help one stay upright. The second is to look at medications that are taken; do any of them cause dizziness, loss of balance, or a drop in blood pressure while standing? Many older adults take multiple medications that could have cumulative effects. The third step is to evaluate the home and make adjustments for safety, such as removing clutter and scatter rugs that can cause one to trip, replacing low toilets with higher ones that make it easier to sit and stand, and installing sturdy grab bars in the bathroom. Consider hazards outside the home, too. The final area of concern is fear of falling. When an older person is overly afraid of falls, they tend to maintain a much more sedentary lifestyle and all that does is cause the lower extremities to get weak. Physical therapy can help someone who is hesitant regain confidence in daily activities. 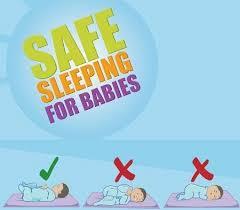 Since 1992, the American Academy of Pediatrics has said that babies should sleep on their backs, even if being put down for a short nap. Although causality has not been shown, sleeping on the stomach is one of the known risk factors associated with sudden infant death syndrome, or SIDS, along with general stress, exposure to tobacco smoke and overheating. After the academy’s widely publicized “Back to Sleep” campaign was begun in 1994, a 1998 study found that the prevalence of infants placed on their stomachs declined by 66 percent, and the rate of SIDS fell about 38 percent. If you are concerned about the weather and you wonder whether the office is open, this information will be prominently displayed on the home page of this site. 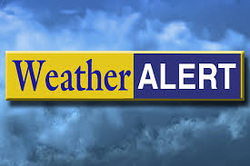 Click on the "Weather ALERT" photo and you will be automatically directed to the dedicated information page. What are muscle “knots” ? How do they happen and how can they be prevented? Are they harmful and should they be treated? Surprisingly, no one knows definitively what muscle knots are made of — and some researchers question whether they even exist at all. Many experts believe that the knots, often referred to as myofascial trigger points, are “specific areas of contraction within the muscle fiber,” said Rob Grieve, a senior lecturer in physiotherapy. It is thought that these small bits of hyper-tensed muscle cause discomfort and pain by “blocking some of the normal blood flow to the affected tissue,” said Jan Dommerholt, a physical therapist in Bethesda, Md. But writing in the March issue of Rheumatology, scientists from Australia and the United States pointed out that muscle knots rarely show up on scans, leaving researchers with “no scientific basis” for believing that knotted muscle fibers make us sore. Instead, the researchers contend, the soreness is likely neural, involving the brain and irritated nerve endings. Regardless of the possible cause, most therapists feel that the best treatment for purported muscle knots is to pummel them. Vigorously massage the sore spot with hands, Dr. Grieve said, or use a small, hard ball (such as those used for lacrosse) or a foam roller. If the soreness persists, Dr. Dommerholt said, consult a doctor or physical therapist, who may suggest acupuncture or injections of anesthetics, both of which have shown some benefit. Injecting an empty needle into the sore spot, a treatment called dry needling, also often reduces pain, he said, although whether by breaking up knotted tissue, calming inflamed nerves or prompting a robust placebo effect, no one knows.